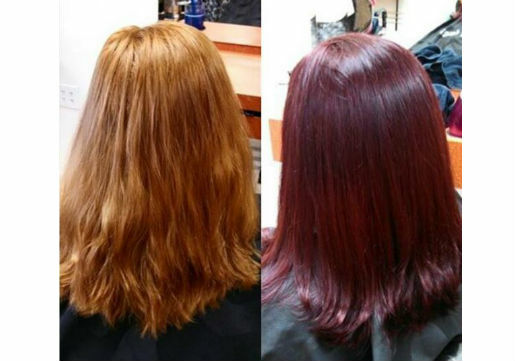 It's officially fall and the ideal time to change up your hair color for the season! Take a cue from Mother Nature and update your look. 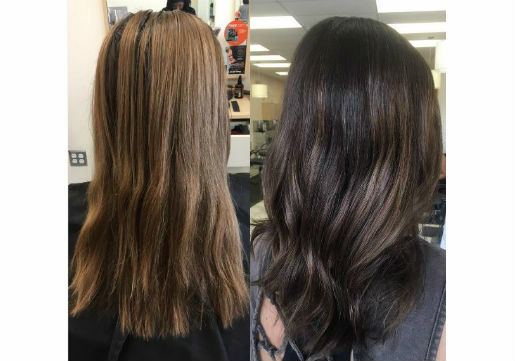 Whether you choose to make a subtle color change or do a major hair makeover, we've got some great examples from #MyHCLook photo gallery to show you just what our stylists can do! 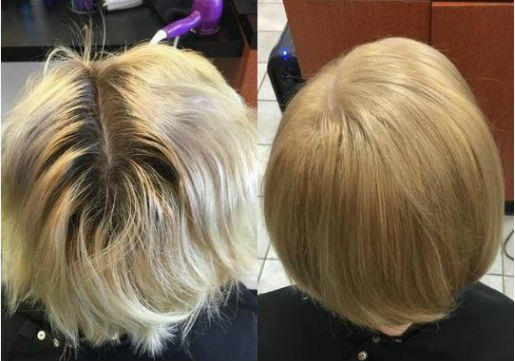 There are more hair color options now than ever before so if you're ready to go for a bold new look, we can make it happen for you! 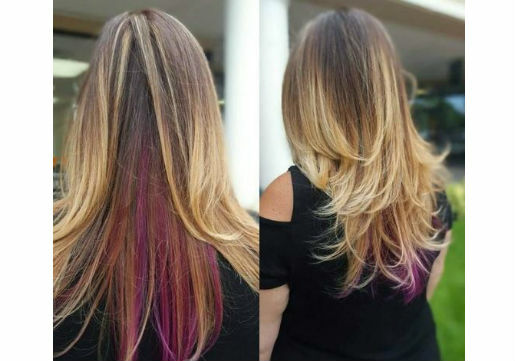 From classic blonde, brunette and red tones to vivid colors from jewel to pastel tones, the variety is endless. But don't feel overwhelmed because we've got the best ideas to inspire your new fall look. 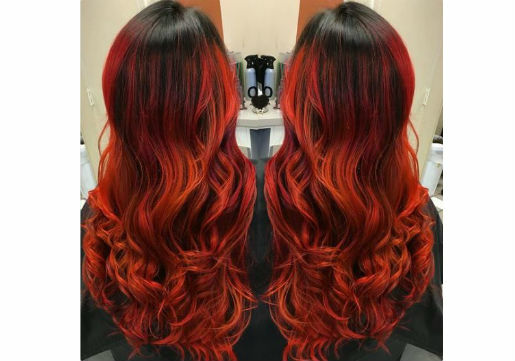 Inspired by nature, this vivid look is like a sunset or the changing leaves. Perfect for fall! We love a structured pixie cut and the richer, deeper red tone of this look! Rich jewel vivid tones are ideal for brunettes. 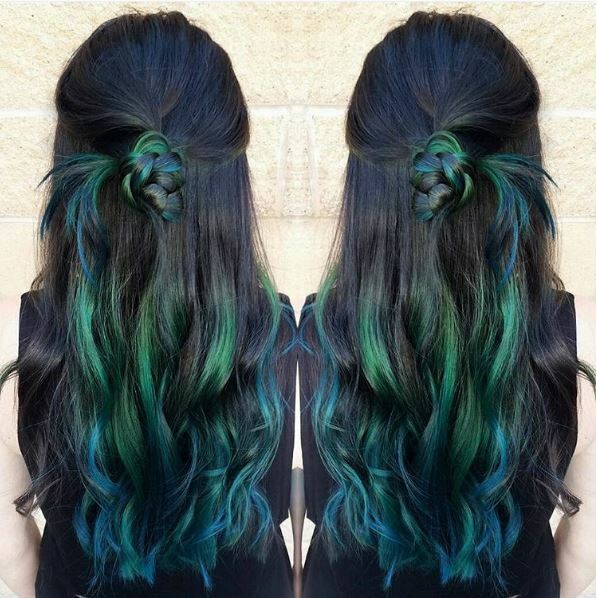 A perfect way to try a vivid color is the peek a boo. 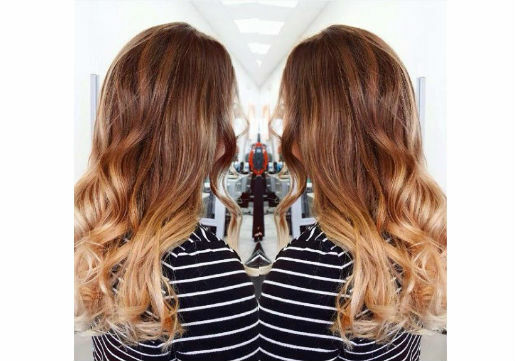 Give your look dimension with a balayage highlight. 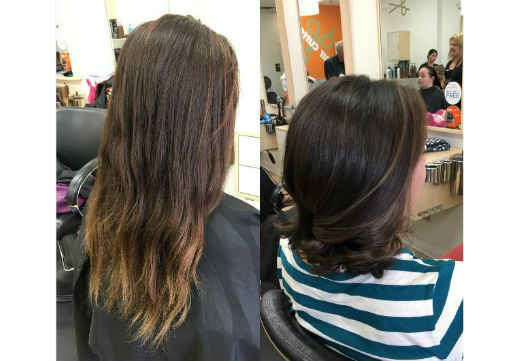 These subtle copper tones bring life to her beautiful hair! One of the hottest color trends for blondes this season! 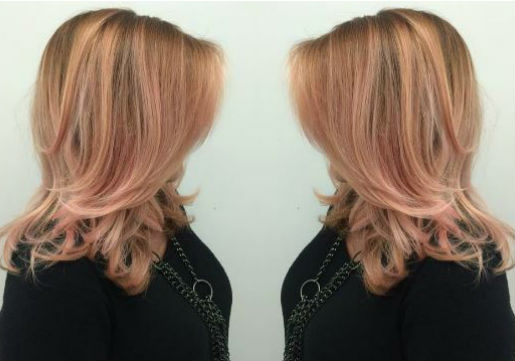 We love the subtle pink tone mixed with golden hair. The color and cut are so mod! 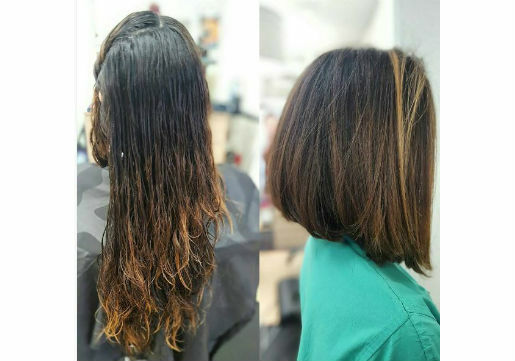 The stacked bob gives hair loads of volume and the bright blonde is classic for any season. You're not one to follow the pack! While everyone is going darker, you go lighter and shorter. Change is the (H)air! Summer sun got your bleached out? Go for a warmer golden tone for fall. 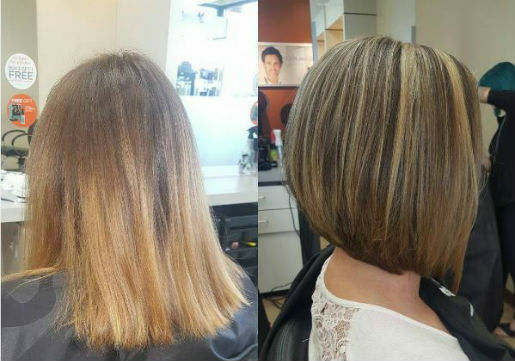 Add gloss and shine with a fresh cut and darker color. We love how healthy it looks! 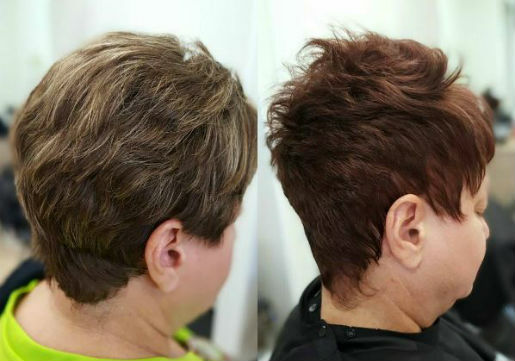 Darken your color but keep your highlights for fall with our Double Dimension value package. 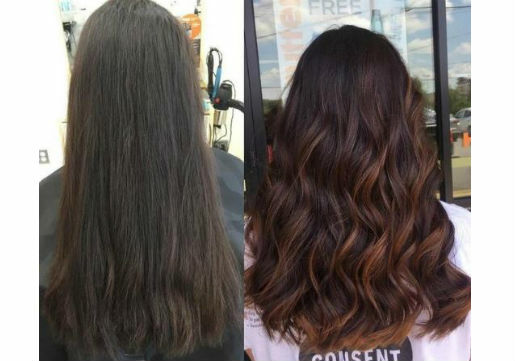 The lowest maintenance for color upkeep is ombre and the results are so beautiful. 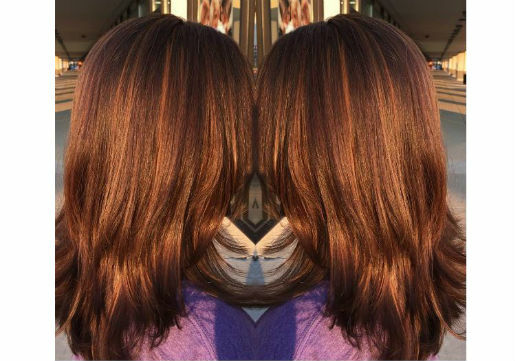 We love this copper tone highlight that gives rich reddish hue to brown locks. Stunning! 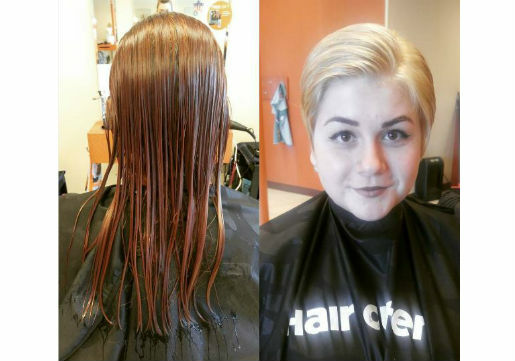 Go from brassy to burgundy for fall. We'll raise our wine glass to that! Inspired by nature, red shades are ideal for fall. Talk to your stylist about which shade is perfect for you. Change it up in a major way with the versatile lob cut and add in some face framing highlights. So fresh for fall! Bronde is the new blonde! 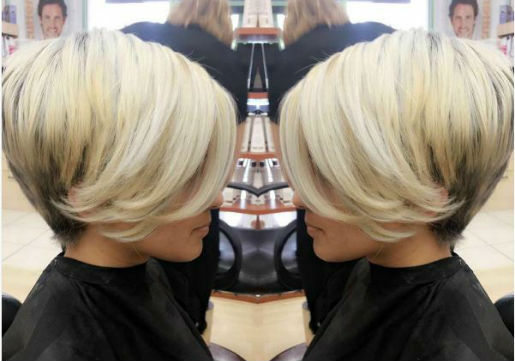 Freshen up your look with a deeper blonde and the always classic bob cut. When you visit your local Hair Cuttery salon, be sure to take time with your stylist to have a thorough consultation. Our consultations are free to be sure to take advantage of this service! Discuss your hair coloring history and current condition of your hair. Most importantly, bring pictures of the color and cut you want. Your free consultation will ensure you get the best results and leave with a great new look and smile on your face! That's our goal with the Hair Cuttery Smile Back Guarantee. Stay up to date on all the latest hair tips, tricks and new products by following us on Facebook, Instagram, Pinterest, YouTube and Twitter. Have you downloaded the HC app yet? Save time by checking-in to see the current wait times at your salon. We've now made it even easier for you to Just Walk In! Once your service is complete, snap a selfie and share it on your Instagram or Twitter with hashtag #MyHCLook. You could be featured in our photo gallery and be selected as our Fan of the Month and win a pack of haircare and styling products customized for your hair type! 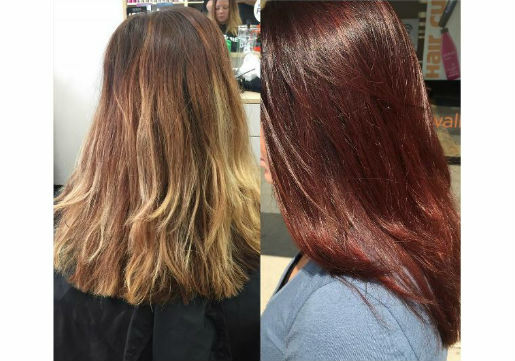 Have a colorful fall season and we'll see you soon at Hair Cuttery!